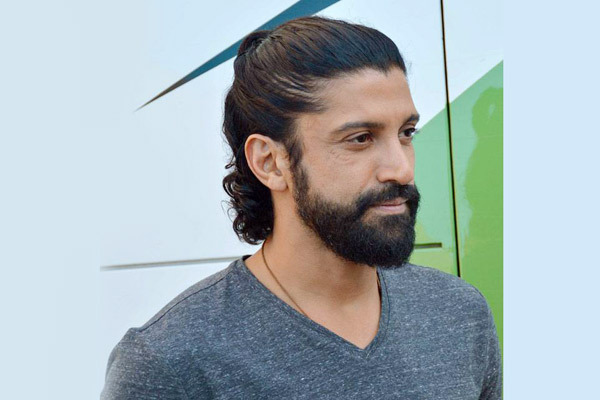 MUMBAI: Farhan Akhtar is all geared up to release his first Hindi single as an independent singer and songwriter. After writing songs for years, crooning for live performances at his concerts and recording a few others for the movies, Farhan Akhtar is taking his lead in music with this step up. Farhan has not just penned the song but has also recorded it. He has collaborated with composer-instrumentalist-lyricist Rochak Kohli, who has produced the single. They are also shooting a music video for it, which will release in August. Farhan is currently in Iceland and is blown away by the icy winds from the North and the natural beauty surrounding him, for the music video that they are shooting. Two days ago, the actor-filmmaker posted a picture of a bicycle with the intriguing caption that read, “Solo bike tour in beautiful Iceland.” Through his hashtags, one can get a gist that he had a fun time with an only reminder to dress warmer next time. Earlier this year, Farhan sung his first Telugu song, I Don’t Know for Mahesh Babu’s political-thriller, Bharat Ane Nenu. The fast-paced catchy number introduced Mahesh Babu’s character in the film. MUMBAI: Grammy and Oscar-winning musician AR Rahman on Thursday announced that his ambitious production "99 Songs" will release on June 21 in Hindi, Tamil and Telugu.